For the 1970s footballer of the same name, see Pop Robson. Bryan Robson OBE (born 11 January 1957) is an English football manager and a former player. He began his career with West Bromwich Albion in 1972 before moving to Manchester United in 1981 where he became the longest serving captain in the club's history. He managed Middlesbrough for seven years, guiding them to two promotions to the FA Premier League and to the first three cup finals of the club's history, later returning to West Bromwich Albion for a two-year spell as manager after a brief and unsuccessful spell in charge of Bradford City. He has also managed Sheffield United and the Thailand national team. Born in Chester-le-Street, County Durham, Robson began his playing career at West Bromwich Albion, before moving on to Manchester United, whom he captained to three FA Cups and a European Cup Winners' Cup. He also won two FA Premiership winners medals. Towards the end of his playing career he moved into management as player-manager with Middlesbrough. Robson had a good goal-scoring record; terrific anticipation, movement, timing on and off the ball; was fiercely competitive and brave; possessed high levels of stamina; tackled, passed well and was also a good header of the ball. He represented England on 90 occasions between 1980 and 1991, making him, at the time, the fifth most capped England player. His goalscoring tally of 26 placed him eighth on the list at the time. Robson captained his country 65 times, with only Bobby Moore and Billy Wright having captained England on more occasions. Robson is also known by the nicknames "Robbo" and "Captain Marvel". Bobby Robson stated that Robson was, along with Alan Shearer and Kevin Beattie, the best British player he ever worked with. In August 2011, Robson was voted as the greatest ever Manchester United player from a poll of ex Manchester United Players as part of a new book, 19, released to celebrate their 19th league title win. Robson began his management career with Middlesbrough in 1994, although he did not retire from playing until 1997. In seven years as Middlesbrough manager, he guided them to three Wembley finals, which were all lost, and earned them promotion to the Premier League on two occasions. He later returned to West Bromwich Albion for two years as manager, helping them become the first top division team in 14 years to avoid relegation after being bottom of the league table on Christmas Day. Less successful have been his short-lived spells as manager of Bradford City and Sheffield United, the former lasting barely six months and ending in relegation from what is now the Football League Championship, and the latter lasting less than a year and seeing his expensively-assembled side fail to challenge for promotion to the Premier League. On 23 September 2009, Robson was appointed manager of the Thailand national team. He resigned on 8 June 2011. On 1 July 2011, Robson was appointed "Global Ambassador" at Manchester United. Towards the end of 1973–74, his second season as an apprentice, Robson made his reserve team debut, against Everton reserves at Goodison Park. He signed a professional contract in the summer of 1974, earning £28 per week plus a £250 signing on fee. During 1974–75 he was a regular in Albion's reserve team, but was not selected by Don Howe for the first team. Following Howe's departure with three matches of the season remaining, Robson was called up to the senior team for the first time by caretaker manager Brian Whitehouse. He made his first team debut away at York City on 12 April 1975 at the age of 18, helping Albion to a 3–1 victory. In the following game, his home debut, he scored his first goal for the club, in a 2–0 win over Cardiff City, and also scored in the final match of the season away at Nottingham Forest. Ron Atkinson left to take over at Manchester United in June 1981, and speculation mounted that Robson would either follow him to United or join Bob Paisley's Liverpool. Albion offered Robson a new contract worth £1000 per week, but he turned it down and put in a transfer request. His teammate Remi Moses signed for United in September 1981 and Robson followed soon afterwards. The following season he helped the club enjoy a great run in the Cup Winners Cup. Robson scored twice in the 3–0 quarter-final second leg victory over Barcelona at Old Trafford, overturning a 2–0 first leg deficit to progress 3–2 on aggregate. He missed both legs of the semi-final defeat by Juventus due to a hamstring injury, but while in Turin for the second leg was given permission by United to speak to Juve regarding a proposed transfer. The move never took place as neither Juventus nor any other club were prepared to meet United's £3 million asking price. Robson's injury also meant that he missed several crucial late season games as United's title challenge slipped away and they finished fourth, with Liverpool becoming champions for the 15th time. Robson instead extended his contract with United in 1984, signing a seven-year deal worth around £1 million which would keep him there until at least 1991. In 1985 he captained the club to another FA Cup triumph, this time over Everton where a Norman Whiteside goal denied their opponents the chance of a unique treble, as they had already won the league title and the European Cup Winners' Cup. Unfortunately, he was dropped from the squad for the FA Cup final, a decision which manager Alex Ferguson later admitted was one of the hardest of his career. His very last appearance in a United shirt came on the last day of the season, 8 May 1994, when United drew 0–0 at home with Coventry City. He had played 461 times for them in all competitions, scoring 99 goals, and was widely regarded as one of their finest players ever. The last of his goals had come in the FA Cup semi-final replay against Oldham. In the league, his final goal had come on the opening day of the 1993–94 season (15 August 1993) in a 2–0 win over Norwich City at Carrow Road. He had also scored a European Cup goal that season, in the second round first leg tie against Turkish champions Galatasaray in a 3–3 draw at Old Trafford. Robson's 13-year spell at Manchester United came to an end after nearly 500 appearances and 99 goals in May 1994 when he accepted the role of player-manager at Middlesbrough. From 1994 to 1996 he combined the role with that of England assistant manager (under Terry Venables), and was linked with the manager's job when Venables announced his intention to quit after Euro 96, only to rule himself out of the running due to his limited experience. He was not included in new manager Glenn Hoddle's coaching staff. In 2015 he expressed regret at turning down the opportunity to manage England. 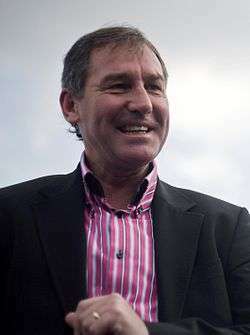 Robson's third management job began on 9 November 2004, when he agreed to return to his old club West Bromwich Albion as manager – 23 years after his departure as a player. His first match in charge ended in a 2–1 home defeat to his former club Middlesbrough. A 4–0 loss away to local rivals Birmingham City on 18 December meant that Albion were bottom of the Premiership on Christmas Day, a position from which no team had previously escaped relegation from the Premiership. Robson was the subject of derisory chants from Albion supporters during the game. The team were also bottom going into the last game of the season. However Robson and his players defied all the odds to stay up thanks to a 2–0 home win over Portsmouth on the final day of the season, coupled with favourable results from elsewhere. Despite some significant new signings in the 2005 close season, his team failed to build on this achievement in 2005–06 though, and Albion were relegated with two matches left to play. They had failed to win any of their final 13 Premier League games. Robson left the club "by mutual consent" on 18 September 2006, following a disappointing start to the season with The Baggies in 9th place in the Coca Cola Championship with only three wins from their first eight games. After a 0–0 draw at home to Scunthorpe United on 9 February 2008 Robson came under increasing pressure from fans urging the board to sack the manager. Consequently, Robson was summoned to a meeting in Brussels on 13 February 2008 with club PLC Chairman, Kevin McCabe as the club considered its response to the scenes which followed Saturday's draw with Scunthorpe. In an interview with BBC Radio Sheffield Robson stated that his team could have won the match with Scunthorpe if they had better support from the fans. After his meeting with McCabe on 14 February he was "relieved of his first-team duties" before later in the day leaving Sheffield United after turning down another role with the club. Robson married Denise Brindley on 2 June 1979. The couple have three children: Claire (born 17 September 1980), Charlotte (born 17 June 1982), and Ben (born 2 September 1988). In 2000, he was exposed as having an affair with Sky Sports reporter Clare Tomlinson. As a player, Robson endorsed products by adidas, and later New Balance football boots, as well as owning a stake in the Birthdays greeting card chain. He was the subject of the television programme This Is Your Life in the edition aired on 23 January 1985, at just 12 days after his 28th birthday he was one of the show's youngest ever special guests. Robson has appeared in a number of advertisements, including an appearance in Carlsberg's 2006 "Best Pub Side" television commercial, where he starred alongside other former England players. In 2007, he formed a specialist sports company, Robson Lloyd Consultancy Ltd, with an aim to build community sports academies with long-lasting benefits for small Football clubs. His autobiography, entitled Robbo: My Autobiography was released in May 2006. ↑ Robson was behind Peter Shilton, Bobby Moore, Bobby Charlton and Billy Wright. Others have since won more caps and Robson has moved down the list. ↑ "Sir Bobby Robson: The best player I ever worked with? It has to be Brazil's Ronaldo". Daily Mail. London. 8 December 2007. ↑ Harry Harris. "Bryan Robson named as Manchester United's most marvellous". Express.co.uk. 1 2 3 Robson, Bryan (2007) . Robbo: My Autobiography (Paperback ed.). Hodder & Stoughton. pp. 4–7. ISBN 978-0-340-83957-7. ↑ Robson (2007), p. 10. 1 2 Robson (2007), pp. 11–12. ↑ Robson (2007), pp. 9–10. ↑ Robson (2007), pp. 13–14. ↑ Robson (2007), pp. 15–16. ↑ Robson (2007), p. 23. ↑ Robson (2007), p. 24. ↑ Robson (2007), p. 25. 1 2 3 Robson (2007), pp. 26–27. ↑ Robson (2007), pp. 28–29. 1 2 3 4 5 Robson (2007), pp. 30–32. 1 2 Robson (2007), pp. 33–34. ↑ Matthews, Tony; Mackenzie, Colin (1987). Albion! A Complete Record of West Bromwich Albion 1879–1987. Breedon Books. p. 147. ISBN 0-907969-23-2. 1 2 Robson (2007), pp. 45–46. ↑ Robson (2007), p. 54. 1 2 Robson (2007), p. 55. ↑ Robson (2007), p. 64. ↑ Robson (2007), p. 65. ↑ Robson (2007), p. 67. ↑ Robson (2007), pp. 75. ↑ Robson (2007), pp. 76–79. ↑ Robson (2007), pp. 83. ↑ Robson (2007), p. 134. ↑ Robson (2007), p. 138. ↑ "Official Manchester United Website". ↑ "Archived copy". Archived from the original on 9 June 2011. Retrieved 2011-05-11. 1 2 3 Robson (2007), pp. 37–39. ↑ Courtney, Barrie (10 January 2004). "England – U-21 International Results 1976–1985 – Details". RSSSF. Archived from the original on 3 June 2009. Retrieved 18 September 2007. 1 2 Courtney, Barrie (21 March 2004). "England – International Results B-Team – Details". RSSSF. Archived from the original on 4 March 2016. Retrieved 18 September 2007. ↑ Robson (2007), p. 41. ↑ "Greatest Ever Commentary – Day 1". BBC Radio 5 Live. 16 August 2005. Archived from the original on 29 December 2007. Retrieved 4 March 2008. ↑ Harding, John (9 June 2007). "100 Greatest Goals". GiveMeFootball.com. Professional Footballers' Association. Archived from the original on 24 October 2007. Retrieved 18 September 2007. ↑ Robson, Bobby (2005). Farewell but Not Goodbye. Hodder & Stoughton. p. 120. ISBN 0-340-82347-X. ↑ "Against the Odds: An Autobiography: Amazon.co.uk: Bobby Robson, Bob Harris: 9780091748784: Books". ↑ "Addicted: Amazon.co.uk: Tony Adams, Ian Ridley: 9780002187954: Books". ↑ "Peter Beardsley: Perfect XI". FourFourTwo. ↑ Footymad Limited. "Snapshot Tables 1996-1997 11 Jan Middlesbrough - Middlesbrough FC - Boro Mad". ↑ Footymad Limited. "Snapshot Tables 1996-1997 24 Mar Middlesbrough - Middlesbrough FC - Boro Mad". ↑ Szreter, Adam (2 January 1997). "Wright's day is soured by Hartson". The Independent. London. Retrieved 26 September 2010. ↑ Fennelly, Amanda (19 November 2000). "Make or break for Robson". RTÉ Sport. Retrieved 20 January 2008. ↑ "Robson hopes Venables stays". BBC Sport. 5 December 2000. Retrieved 15 October 2007. ↑ "Robson leaves Middlesbrough". BBC Sport. 5 June 2001. Retrieved 22 August 2007. ↑ "Robson favourite for Irish job". BBC Sport. 15 January 2003. Retrieved 16 October 2007. ↑ "Kerr is new Republic boss". BBC Sport. 27 January 2003. Retrieved 16 October 2007. ↑ "Nigeria stall Robson plan". BBC Sport. 5 November 2003. Retrieved 16 October 2007. ↑ "Bradford appoint Robson". BBC Sport. 24 November 2003. Retrieved 22 August 2007. ↑ "We love you Robbo!". Telegraph & Argus. 1 December 2003. Retrieved 9 October 2007. ↑ "Todd is new Bantams manager". Telegraph & Argus. 17 June 2004. Archived from the original on 11 January 2009. Retrieved 9 October 2007. ↑ "Baggies appoint Robson as manager". BBC Sport. 9 November 2004. Retrieved 22 August 2007. ↑ "West Brom 1–2 Middlesbrough". BBC Sport. 14 November 2004. Retrieved 16 October 2007. ↑ "Birmingham 4–0 West Brom". BBC Sport. 18 December 2004. Retrieved 16 October 2007. ↑ "Robson criticises Baggies defence". BBC Sport. 18 December 2004. Retrieved 16 October 2007. ↑ "Albion suffer relegation". West Bromwich Albion F.C. 29 April 2006. Retrieved 2 November 2007. ↑ "Robson and West Brom part company". BBC Sport. 18 September 2006. Retrieved 14 August 2007. ↑ "Robson wanted England U21s role". BBC Sport. 7 February 2007. Retrieved 23 April 2008. ↑ "United fail to live up to the hype". The Sheffield Star. 13 August 2007. Retrieved 17 October 2007. ↑ "Robson's charges start to get it right". The Sheffield Star. 15 August 2007. Retrieved 17 October 2007. ↑ "Be patient says Robbo". The Sheffield Star. 10 October 2007. Retrieved 17 October 2007. ↑ "Robson's patience runs out". Sheffield United FC. 19 January 2008. Retrieved 20 January 2008. ↑ "Chairman Urges Unity". Sheffield United F.C. 24 January 2008. Retrieved 24 January 2008. ↑ "Robson hits out at funds". Sky Sports. 25 January 2008. Retrieved 25 January 2008. ↑ "Sheffield United 0–0 Scunthorpe United". BBC Sport. 9 February 2008. Retrieved 9 February 2008. ↑ "Showdown: Robson summoned for talks with McCabe". The Sheffield Star. 11 February 2008. Retrieved 11 February 2008. ↑ "Robson faces Sheff Utd job talks". BBC Sport. 11 February 2008. Retrieved 11 February 2008. ↑ "Blackwell in for Robson at Blades". BBC Sport. 14 February 2008. Retrieved 14 February 2008. ↑ "Robson takes up United post". Sky Sports. 20 March 2008. Retrieved 24 March 2008. ↑ "Bryan Robson to coach Thailand Bryan Robson has agreed to replace his former England team-mate Peter Reid as coach of Thailand". The Daily Telegraph. London. 23 September 2009. Retrieved 27 April 2010. ↑ "Singapore 1-3 Thailand: Sutee Suksomkit Gives Bryan Robson Crucial Win". Goal.com. ↑ "Bryan Robson resigns as Thailand manager". BBC Sport. 8 June 2011. Retrieved 8 June 2011. ↑ "Robson making plans for Red Heart United match". 16 January 2015. Retrieved 8 June 2011. ↑ "Bryan Robson's managerial career". Soccerbase. Retrieved 13 February 2008. 1 2 Robson (2007), p. 131. ↑ "Football Legends list in full". BBC News. 5 August 1998. Retrieved 23 April 2008. ↑ "2002 Inaugural Inductees". National Football Museum. Retrieved 15 October 2007. ↑ "The wraps come off 125th anniversary mural". West Bromwich Albion FC. 4 August 2004. Archived from the original on 2 February 2008. Retrieved 27 April 2008. 1 2 "England Players - Bryan Robson". England Football Online. Retrieved 22 September 2016. ↑ Arrowsmith, Richard (16 May 2013). "'An incredible year': Robin Van Persie gushes after picking up fans' Manchester United Player of the Year award". Mirror Online. Retrieved 22 September 2016. ↑ "Today at Old Trafford". Official Manchester United Website. 10 October 2010. Retrieved 4 October 2016. ↑ Robson (2007), p. 43. ↑ Robson (2007), p. 61. ↑ "TV sports girls: Clare Tomlinson". Virgin Media. Retrieved 17 September 2007. ↑ "Bryan Robson faces fight against throat cancer". BBC Sport. 16 March 2011. Retrieved 16 March 2011. ↑ Robson (2007), pp. 59–60. ↑ "Bryan Robson (II) Filmography". The Internet Movie Database. Retrieved 16 October 2007. ↑ "Carlsberg's "Best Pub Side" TV commercial". TheFA.com. 19 April 2006. Retrieved 2 October 2007. ↑ "Robbo: My Autobiography (Hardcover)". Amazon.co.uk. Retrieved 7 October 2007. ↑ Hencke, David (13 March 2010). "Green Belt housing scheme promoted by footballers leaves investors in the red: Investors from the Far East have been left without a penny gain in four years after putting money into a "get rich quick" property scheme promoted by two former England football players.". The Daily Telegraph. London. Retrieved 27 April 2010. ↑ "Manchester United and England legend Robson 'caught up in dodgy deals sting'". MailOnline. London: Associated Newspapers. 18 July 2011. Retrieved 25 July 2011. ↑ "How to Buy a Football Club". Dispatches. Channel 4. Retrieved 18 July 2011. ↑ Edwards, Luke (17 July 2011). "Bryan Robson caught up in foreign ownership scandal". The Daily Telegraph. London: Telegraph Media Group. Retrieved 25 July 2011.